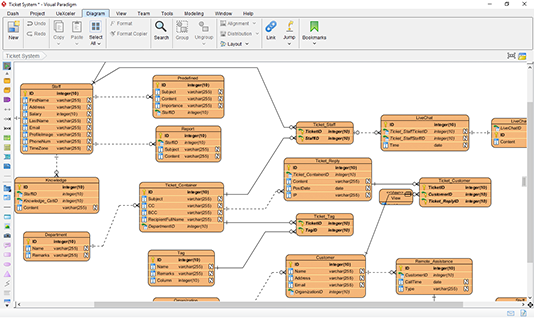 Design database can be created promptly and effectively with ERD editor. Customized data dictionary can be produced in a blink of an eye. 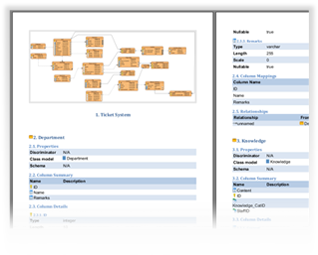 Go through our full set of customizable templates to help you produce any specific data dictionary. Conveniently send and share your database design to developers. 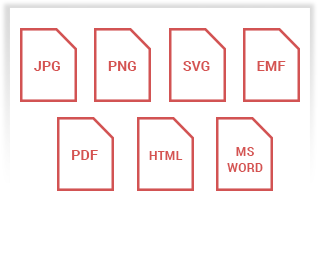 JPG, PNG, SVG, PDF, MS Words and HTML are only some of the output formats we support.